India is celebrating its 65th Independence Day (66th if you count 15th August 1947 as the first Independence day) to mark its independence from the British rule. Google has created an awesome doodle by placing the colorful Peacock where it’s color is similar to Indian national flag, which on mouse over will greet you with a message, “Indian Independence Day”. This time Google placed Peacock, Why? Cause peacock was declared the National Bird of India because of its rich religious and legendary involvement in Indian traditions. And it’s also a symbol of qualities like beauty, grace, pride and mysticism. The peacock curves its neck backwards to form the ‘G’ of the Google and all the other letters of the Google appear in ornate styling behind the peacock’s plume. 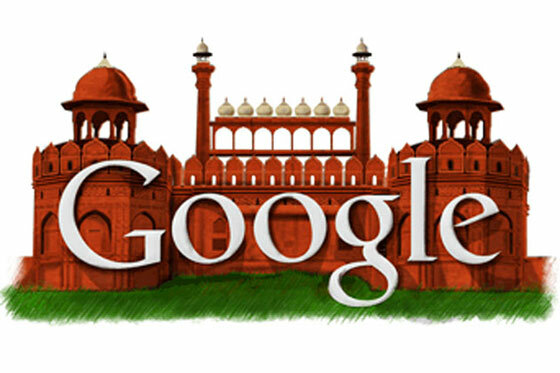 The search giant, Google has been commemorating India’s Independence Day with a doodle on its home page since year 2003. Most of the Google doodles had the Indian national flag as the inspiration. With India, 3 more other countries share 15th August as their Independence Day including Bahrain, South Korea and Republic of the Congo. Google has already posted an Independence Day doodle on its South Korean home page. As we all know, from last so many years, Google has been occasionally swapping its everyday logo for a doodle, celebrating holidays, inventions, artists and sporting events, and showcasing designs from contest-winning students and so on. I wish all Indians a very Happy Independence Day!